Patterdale Mountain Rescue Team was called out on Saturday evening when the pair got lost in cloud. The team tried using the Sarloc system which sends a link to a smartphone which, when followed, allows rescuers to pinpoint their position, but this didn’t work on the pair’s phone. A team spokesperson said: “We asked the lost people to download OS Locate over their 4G connection and within seconds we had a grid reference. “Once we had this reference we worked out a compass bearing and asked them to walk on it. “This worked and we soon had them walking in the right direction. An hour later we spotted their torch high on the mountain. Three hours later and they were down in the valley safely. OS Locate is a free app produced by Ordnance Survey that can be downloaded to smartphones and which gives a fix and altitude information. It also has a digital compass function. The Patterdale team spokesperson said: “For the record, although this was a joint call out for Patterdale and Langdale MRT, we agreed that we wouldn’t race each other up the mountain to see who could get there first. OS Locate can be downloaded free of charge from the iTunes App Store for iPhones or Google Play store for Android devices. FYI, on Google Play the app is just called 'Locate' but it does come from Ordnance Survey. 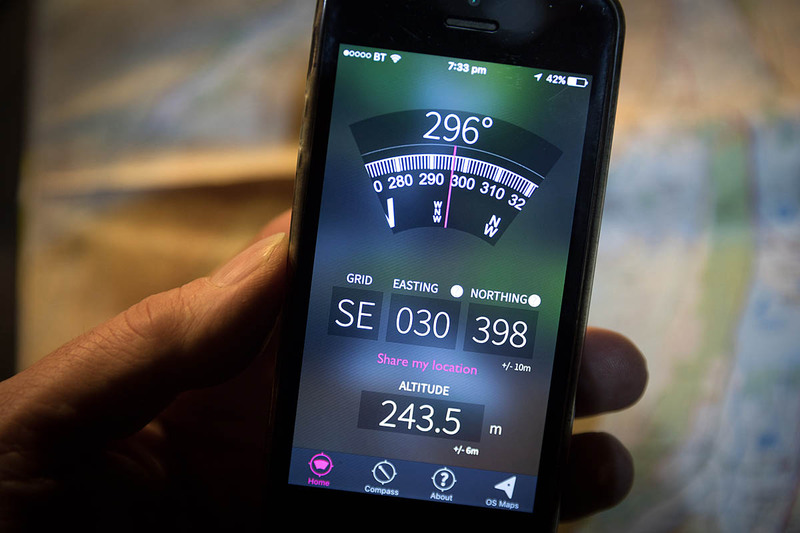 "Grid Reference" is a far better, less gimmicky-gadget packed and way easier to read app!